Young Everly Lederer and K.C. Stites come of age in Oriente Province, where the Americans tend their own fiefdom - 300,000 acres of United Fruit Company sugarcane that surround their gated enclave. If the rural tropics are a child's dreamworld, Everly and K.C. nevertheless have keen eyes for the indulgences and betrayals of the grown-ups around them - the mordant drinking and illicit loves, the race hierarchies and violence. In Havana, 1,000 kilometers and a world away from the American colony, a cabaret dancer meets a French agitator named Christian de La Mazière. The year is 1975 and Reno - so-called because of the place of her birth - has come to New York intent on turning her fascination with motorcycles and speed into art. Her arrival coincides with an explosion of activity in the art world - artists have colonized a deserted and industrial SoHo, are staging actions in the East Village, and are blurring the line between life and art. Reno meets a group of dreamers and raconteurs who submit her to a sentimental education of sorts. Ardent, vulnerable, and bold, she begins an affair with an artist named Sandro Valera, the semi-estranged scion of an Italian tire and motorcycle empire. When they visit Sandro’s family home in Italy, Reno falls in with members of the radical movement that overtook Italy in the seventies. Betrayal sends her reeling into a clandestine undertow. 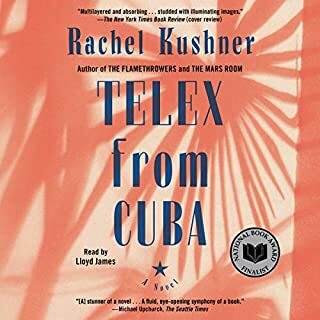 ©2013 Rachel Kushner (P)2013 Brilliance Audio, Inc.
Cradled in a fine evocation of the world of the New York art scene circa 1976 and the tumult of labor protests in Italy are a torrent of shorter narratives, almost like a Thousand and One Nights. Most though not all of the stories she tells are enjoyable and contribute to the world she's portraying. I'm not certain it all hangs together, but I suspect I'll be chewing this one over for a while. 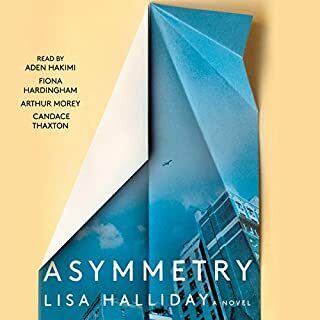 The narrator has a pleasant voice that is just right for the protagonist's unsure 23-year-old self. When she says "I" you really believe she's the one telling you this story. However, her intonation is sometimes way off, as if she's concentrating on keeping a smooth delivery at the expense of understanding what she's saying. What did you love best about The Flamethrowers? 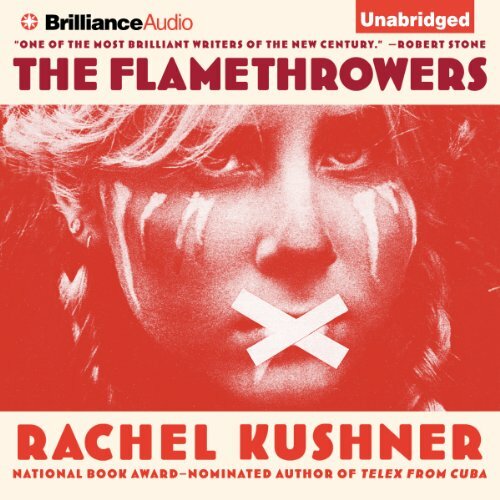 When I decided to listen to The Flamethrowers I was guardedly hopeful that the world Rachel Kushner was brazened enough to tackle, the world of gritty, downtown New York in the 1970’s, would live up to my expectations. Expectations set high since I am long time resident of lower Manhattan with an appreciation of art and counter intuitive thinking, both central elements of that place and time. She did not disappoint. 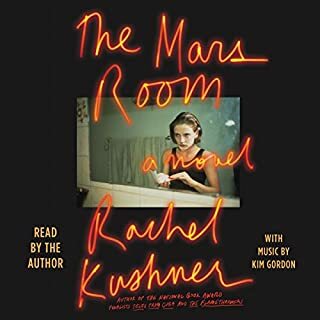 Ms. Kushner’s knowledge of art, the people and places that made up the scene and the meticulous research of events swirling in the 70’s is spot on. This allowed her to recreate with accuracy the mood of deserted cobblestoned streets and dilapidated lofts, populated by colorfully independent, smart and destructive urban nomads. Ms. Kushner is not only an imaginative story teller weaving truths with flights of fantasies but she has the ability to write in loving prose beautifully rendering even the grimy haunts of counterculture New York as it teeters on the edge of anarchy and bankruptcy. The story shifts gears as smoothly as a high performance motorcycle as it speeds across the salt flats from New York to Italy and the South Pacific. To enhance the mood of the 70’s, she creates a loosely structured plot like time itself, made up of rivulets of events that swirl and mingle into the larger river of time and history. This coupled with the sultry voice of narrator Christina Traister, giving life to Reno, our guide on this odyssey as she shares her experiences with the cool, objectivity of an anthropologist makes The Flamethrowers an entoxicating motorcycle ride that speeds us out of a place of conformity to a world of intellectual possibilities. This is a ride with all the excitement and uncertainty of the open road. A ride worth taking. I'm only a couple hours into the book and I think it's fantastic. Why? Because this is in part a story that could be about a man's experiences except it's told by a woman, about a woman. I think that many men are just not secure enough in their masculinity to allow themselves to enjoy both the story and the reader. Note that I'm a guy though the Audible account is in my wife's name. Actually, it's really cool to hear how Kushner describes motorcycle riding, loud music and gun shots with words that men just would not. I really dig that. I think that most American men would either not get it or not admit that they get it at the risk of being too in touch with their feminine side. As an example, regardless of how it's described, riding a motorcycle at nearly 150 miles per hour is thrilling and dangerous no matter if you are of the gender that stands to pee or sits to pee. Casting genderization aside, Kushner uses uncommon words and expressions to describe things. Ordinary things are described as if they were art and I think that's really cool too. Maybe it's my left handed but ambidextrous mind and body that find this book so captivating. Maybe some day soon I will meet Kushner and her hubbie at one of our nearby quasi Bohemian bars or eateries and we can have a fun chat. Major compliments on her ability to describe life for young adults in the late 70's when I belonged to that demographic. I'm 63 now. What did you like best about The Flamethrowers? What did you like least? 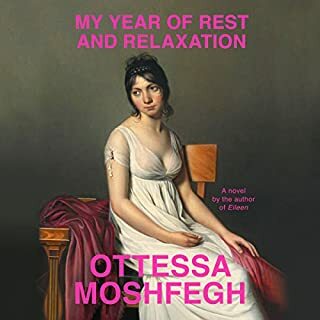 The prose is often beautiful, and the asides about art and philosophy were just right--long enough not to be flippant, and short enough not to detract from the main narrative. Would you recommend The Flamethrowers to your friends? Why or why not? Only some. It's odd structure and lack of central point or message would make it unappealing to a lot of people, I think. I found those things to be strengths, but that's just my personal taste. A lot of the characters are also unrelatable and not particularly lovable. Would you be willing to try another one of Christina Traister’s performances? I would avoid her if I had the option, but I would try her again if necessary. She's just not that expressive, and it's too bad because some of the language in this book is really great. But coming from the narrator, who sounds almost bored for most of the book, the prose didn't stand out as much as it should have. Do you think The Flamethrowers needs a follow-up book? Why or why not? No. It would actually work against the themes the book is trying to forward by adding more. 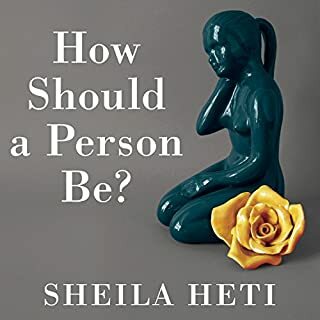 Interesting book and worth listening to if you love language and non-chronological story structures and interesting ruminations that are more important than the actual story (in my view). Not for you if you want something with interesting/likeable characters, or a story with a "point." Often the story would linger on certain side characters, all of whom are odd in one way or another (often, it seems, just for the point of being odd, or maybe because a lot of them are artists...?) --and I would just find myself thinking "I don't care about this person or their pointless eccentricities! If you're not going to advance the plot then at least give me a character/situation I can care about!" But when the book is good, it's very good. A mixed bag. Meandering; pointless; boring; Kept waiting for something, anything, to happen in this book and it never did. I don't know if I can sit through the remaining eight hours of this book. The story is painfully boring. I do enjoy the narrator but I would not recommend this book. One of the worst I have ever read. What disappointed you about The Flamethrowers? No coherent storyline. A mishmash of topics and locales that are not related and uninteresting. Did not explore any in depth. I mean - racing in Utah, growing up in Reno, finding a boyfriend in NY, a friendship with a waitress, hanging out in Italy with yet another group of people, an old war story, union strife in Italy, - none of which we have enough info to care about. What was most disappointing about Rachel Kushner’s story? That the synopsis was very misleading. I expected a story about the art scene in NY. What character would you cut from The Flamethrowers? Great strong women lead, most of the other characters are realistic but disgusting people. Narrartor was perfect for the main character. Great narrative and tension, although there were a couple philosophical tangents that lost me. Not really a 'story of the 1970's' as some have said. Sure there is some of that detail of the times, but it's background to a personal drama. 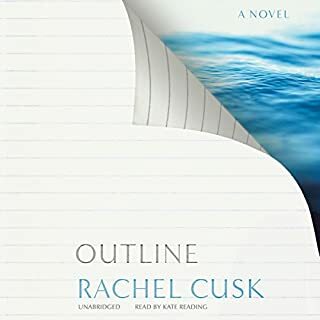 Would you try another book from Rachel Kushner and/or Christina Traister? Maybe Kushner; definitely not Traister. This book will attract those who have some connection to (and/or knowledge about) Italy and Italian culture. Those listeners will be driven bananas by the reader's bad, fake Italian accent, and her egregious mispronunciations of Italian words. A few pointers for her: "Gianni" is a 2-syllable word, not 3 (the 'i' is not pronounced; it just makes the "G" soft). The two zzs in "ragazza" make the same sound as the 2 zzs in "pizza." The accent at the end of words like "Cinecittà" is telling you where to put the stress. Etc. etc. The poor pronunciation seriously detracts from the authorial voice we like to imagine we are hearing; and by extension, it undermines our faith in the author's expertise. Please, Audible: there must be readers out there with pleasant voices, clear diction, AND elementary knowledge of foreign languages. Hire one of them next time. Couldn't get interested in the story or the characters. Maybe someone interested in motorcycles and racing will have more luck. Good writing, though, and I like the reader.